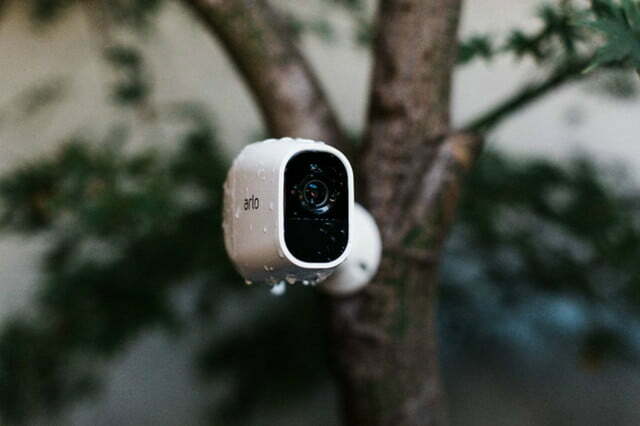 Best Buy has ripped up its price sheets for two generations of its Arlo Pro wire-free indoor and outdoor home security cameras. 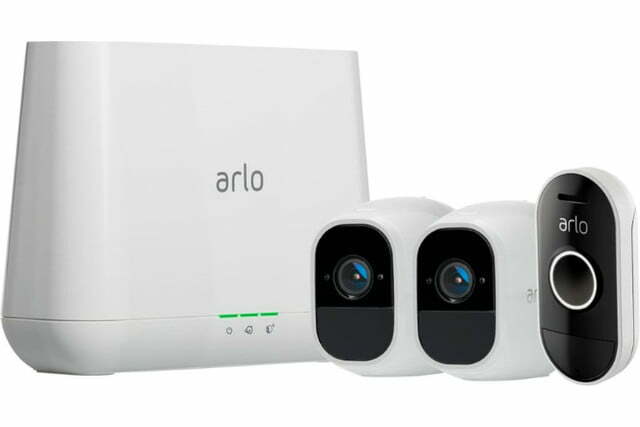 The original Arlo Pro 720p HD video security cameras and second-generation Arlo Pro 2 1080 full HD cameras are two of the most feature-packed systems available for homeowners who want to add video security to their smart home configurations. Arlo recently introduced a new line of security cameras, the Arlo Ultra with 4K HDR video. The Ultra series adds features such as automatic zooming and tracking, enhanced night vision, and an integrated spotlight in each camera. Because the Pro and Pro 2 security camera systems were already among the best systems we tested, however, you might not need to pay the extra premium prices for the Arlo Ultra systems. Even without discounts the Arlo Pro and Pro 2 cameras and camera systems with base units cost less than Arlo Ultras. For example, a 2-camera Arlo Ultra system costs $600 while the same 2-camera system costs $450 for Arlo Pro 2 and $350 for Arlo Pro. 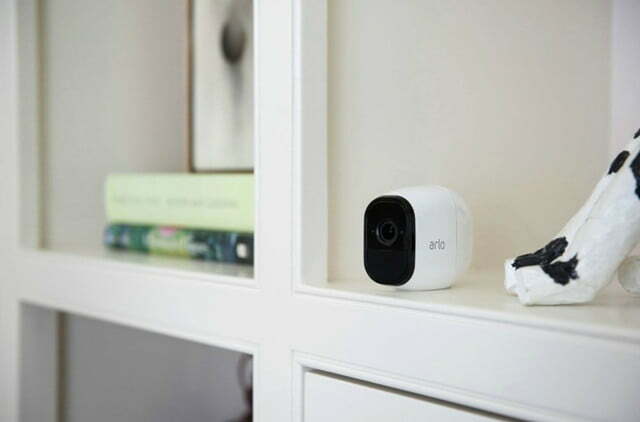 With the Best Buy sale prices, however, you’ll save even more on Arlo Pro and Pro 2 security camera systems. We’ve rounded up Best Buy’s deepest discounts on Arlo Pro and Arlo Pro 2 security cameras. 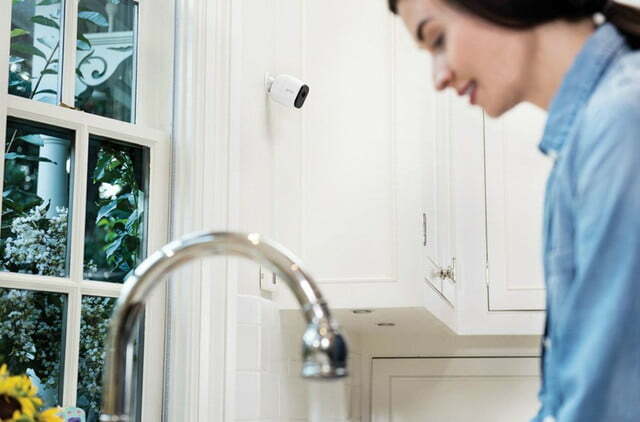 If you’re ready to add video surveillance with both audio and motion detection to your home or adding on to an existing Arlo system, these seven deals help you save up to $200. 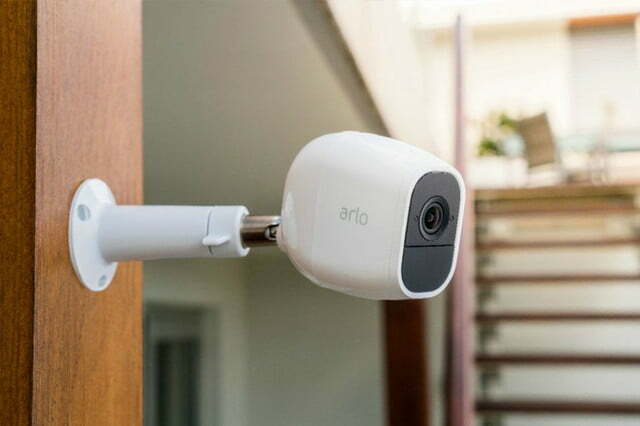 When Digital Trends reviewed the Arlo Pro 2 we called it “simply the best smart home security camera system you can buy.” The Pro 2 cameras capture up to 1080p full HD video with a 130-degree horizontal field of view. 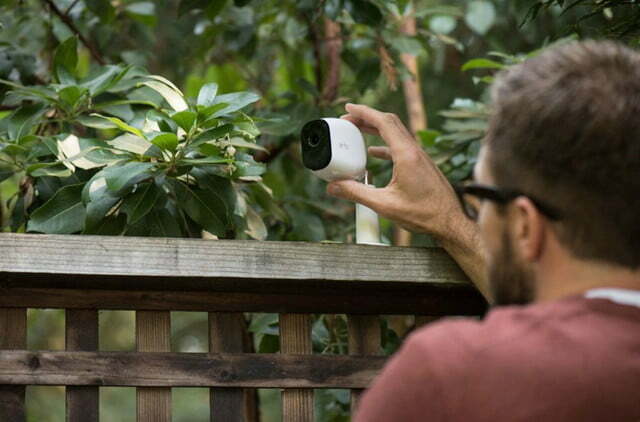 All Arlo indoor/outdoor cameras are weather resistant and connect to your home Wi-Fi network via the Arlo Base Station. The cameras have infrared night vision and integrated motion and audio detection. The Pro 2 enables defined geo-fenced motion ranges so you can ignore naturally noisy areas. The microphone used for detecting sounds with the Pro 2 is part of a two-way talk system so you can talk with visitors or intruders. If the camera senses motion or sound, it sends an alert to your smartphone and begins to record video. Video clips are stored in the cloud and available for viewing for free for seven days. You can plug an external hard drive into a USB port on the Base Station for local storage. 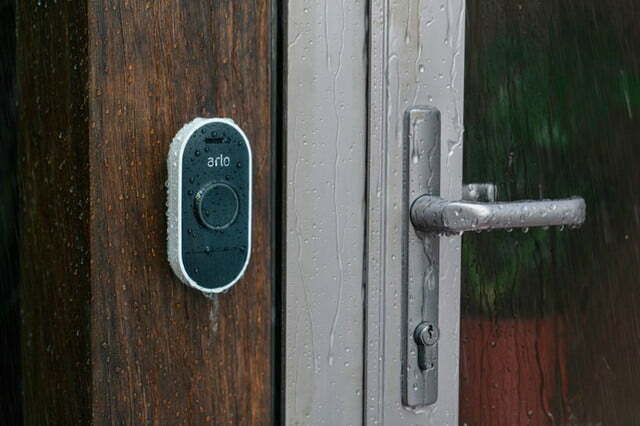 Like the Arlo Pro systems, the Pro 2 works with Amazon Alexa, Google Home, and the If-This-Then-That (IFTTT) protocol. 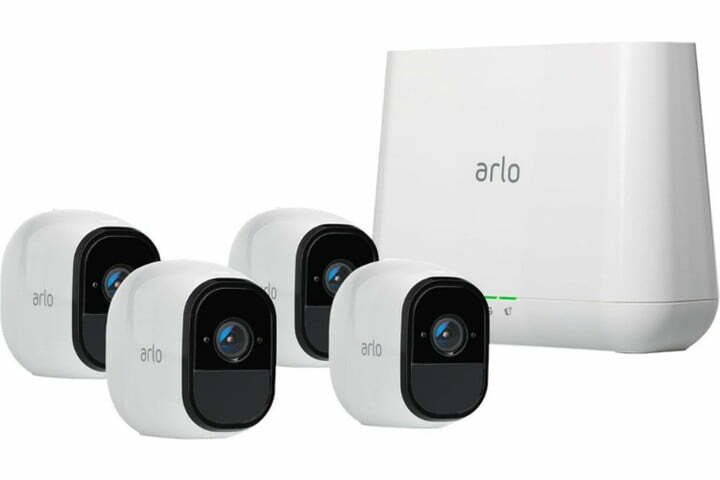 Choose the Arlo Pro 2 6-camera setup for a full complement of high-performance video cameras for inside and outside home coverage. This configuration includes six wire-free cameras and a Base Station. Normally priced at $1,100, the Arlo Pro 2 6-camera system is just $900 during this sale. If you want enough cameras to cover important areas in and around your house, this is a great opportunity to take advantage of an awesome price. The Arlo Pro 2 2-camera bundle with Arlo’s wire-free Audio Doorbell is another compelling bargain. 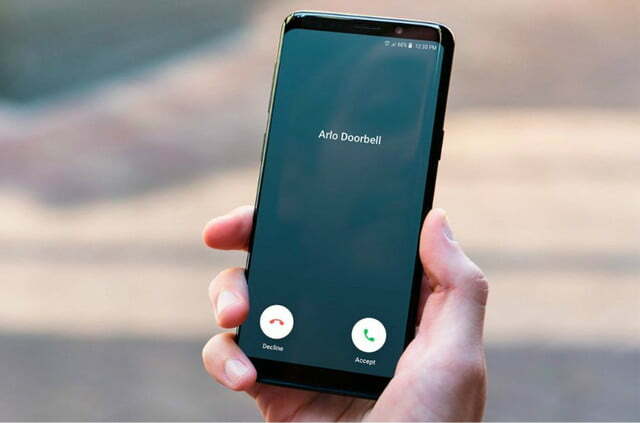 Use one of the cameras to watch the doorway and the doorbell’s 2-way audio to talk with visitors. This bundle includes two Arlo Pro 2 cameras, the Audio Doorbell, and a Base Station. This bundle is usually $500, but Best Buy has it on sale for $430. If you want to integrate a doorbell with your smart home video security system, this is a good opportunity. If you don’t need a smart doorbell, or already have one installed, but want the same the Arlo Pro 2 2-camera system provides two cameras for outside monitoring or one outside and one inside the house. Regularly $450, the Arlo Pro 2 2-camera system is discounted to $380 during this sale. 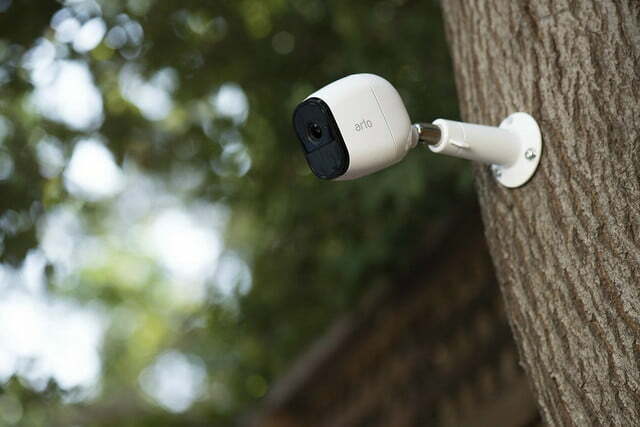 The Arlo Pro security camera system is the predecessor to the Pro 2 line. Because of the price difference, the Pro series could easily be enough because of the comprehensive feature list and high quality. The major differences between the Pro and the Pro 2 are the Pro has 720p HD video instead of the Pro 2’s 1080p full HD, the range of view is 110-degrees with the Pro versus 130-degrees for the Pro 2, and the Pro series doesn’t support defined motion detection ranges. 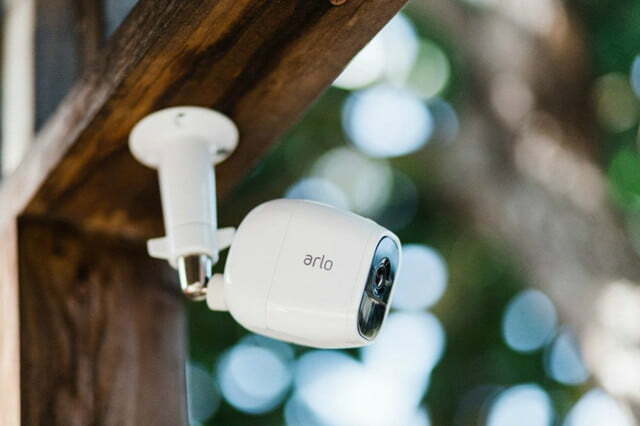 The Arlo Pro systems, just like the Pro 2, are weather resistant, wire-free, have both motion and audio detection and 2-way talk, and include free video clip cloud storage for seven days. The Arlo Pro security system is also Alexa and Google Home compatible. 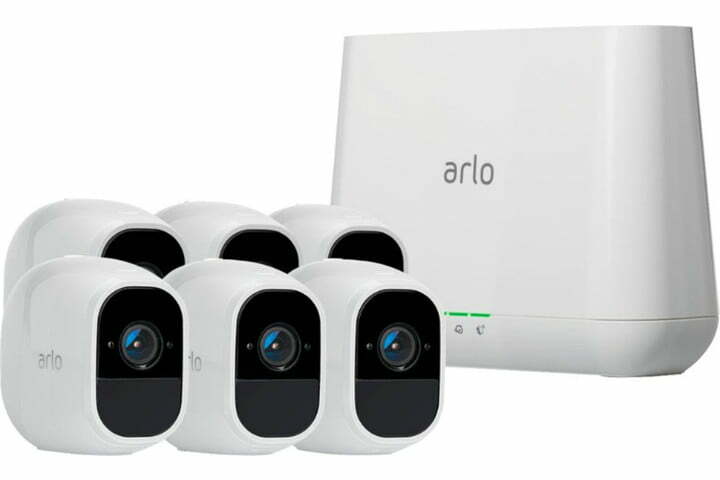 Set up with four cameras with this Arlo Pro security system bundle. 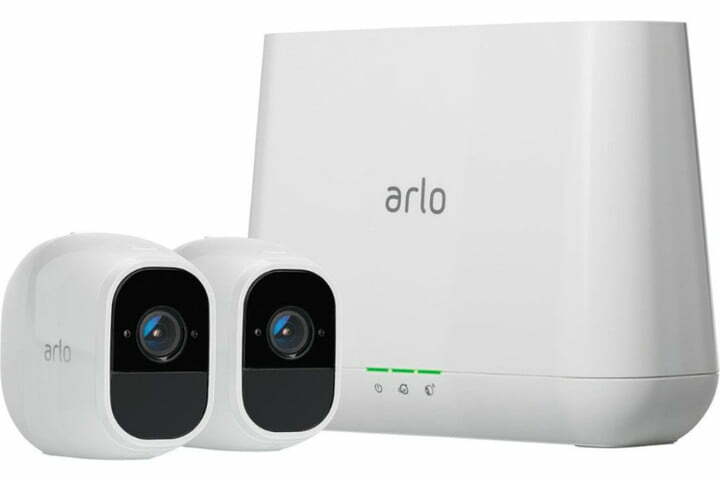 The package includes an Arlo Base Station and four Pro 720p HD video cameras. 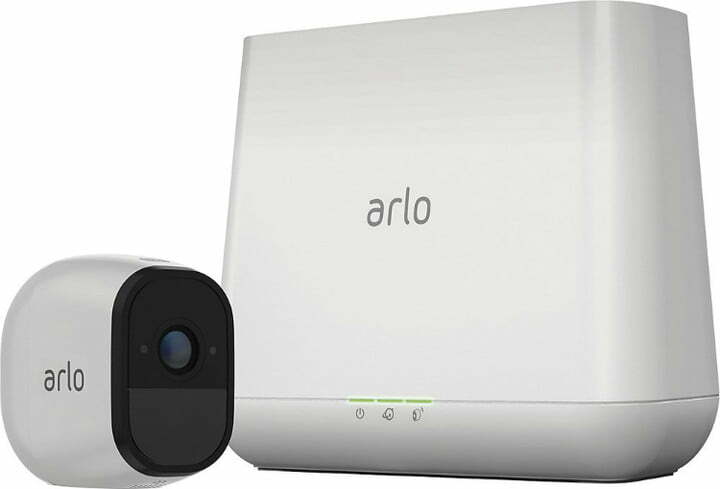 Ordinarily $600, the Arlo Pro 4-Camera security system price is discounted to $500 during this sale. If you need two or three cameras for outside and with to monitor area inside your home, this is an excellent buy. Many people find a 2-camera security setup is ideal, one front door area and a second camera to cover the main living area. You can always add additional cameras if you decide you want more, but the Arlo Pro 2-camera setup is a strong foundation for a video security setup. Instead of the usual $350 price, Best Buy cut the Arlo Pro 2-camera system price to $300 during this sale. If you live in an apartment or only wish to monitor one area, the Arlo Pro 1-camera system is the way to go. 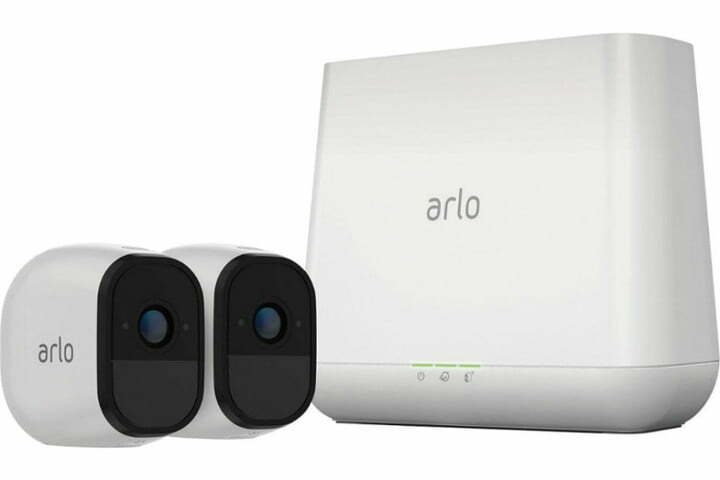 The package includes one camera and an Arlo Base Station. 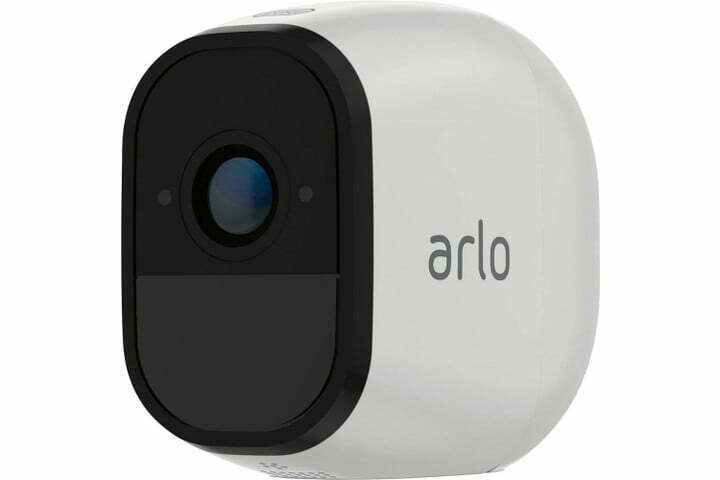 Best Buy dropped the usual $250 price for the 1-camera Arlo Pro System to $180 during this sale. This bundle is a good way to start with home video security, and it may be all you need. One of the joys of the Arlo home security systems is you can add more components as you need them. The Arlo Pro camera does not come with a Base Station so you can’t use it by itself. This 720p HD camera can be added to existing Arlo Pro and Pro 2 systems to monitor an additional area. Instead of the usual $190 price, The Arlo Pro camera is $150 during this sale, a significant saving. If you want to add to an existing Arlo Pro or Pro 2 system, take advantage of this opportunity.